Who will implement your Vision and Marketing Strategy? Yes, you can likely do a lot of it on your own. But you can do it faster, smarter and better with a Virtual Team supporting you. 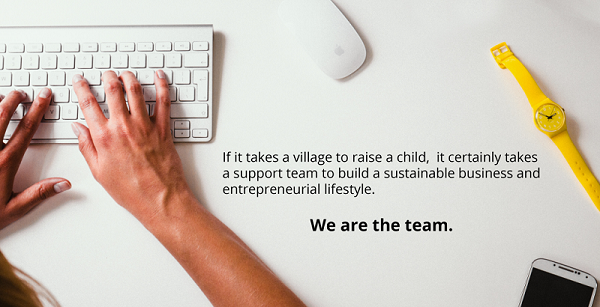 We create systems and structures to sustainably support you and your business for years to come. Most online business owners started by jumping right into the ‘doing’ of their business; working ‘in the business’ serving clients, vs. ‘on the business’ setup of structure and systems. It doesn’t take long for the business to appear to be operating, and yet the back end is a big, inefficient mess that feels like it will cave in. We can help you build a strong foundation for your business to thrive! The Systems Set Up Package is worth over $1,000, but we’ve streamlined the work in order to lower the price. We bring you the best of today’s online platforms, our systems brains, and over a decade of experience bringing order to chaos. We create an initial outline of structure for you and your business to both rest into and launch from. Upon completion of this package, you can take the assessments and systems to a different virtual team, or you may want to continue working with us. To book your complimentary discovery session and determine if the Systems Set Up Package is right for you, click here.